NAICSs and the older SIC Code provide a way to classify U.S., Mexico and Canada businesses into industry-specific categories. Send us your business customer file and our Service Bureau will code all your business records so you have better intelligence about your target markets. NAICS, or the North American Industry Classification System, is used to classify and measure businesses in the United States, Canada and Mexico. It is often used in conjunction with or instead of the Standard Industrial Classification (SIC) system. Both are economy-based codes used to determine the type of industry into which a business can be categorized. NAICS replaced SIC codes for the most part, due to additional technology-based classification needs as market trends shifted and the Internet grew, but many companies find SIC codes more than meet their needs. 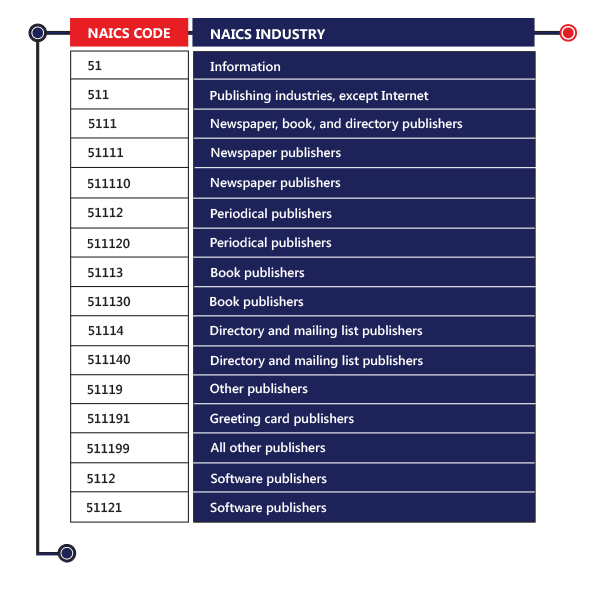 NAICS codes are 6-digits long and supply all the necessary information you need to define a business’s industry. By breaking down each part of the code, you can better understand your target markets. 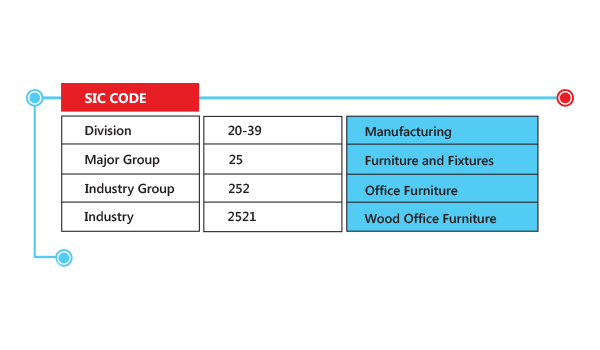 The first two digits in NAICS provide the sector for the business, although there are three specific cases where more than one 2-digit code specifies sector: Manufacturing, Retail Trade, and Transportation and Warehousing, each comprise a code range. After identifying a main sector for the industry of a business, NAICS shows more in-depth information, including 99 subsectors, 312 industry groups, 713 industries and 1,066 U.S. industries. 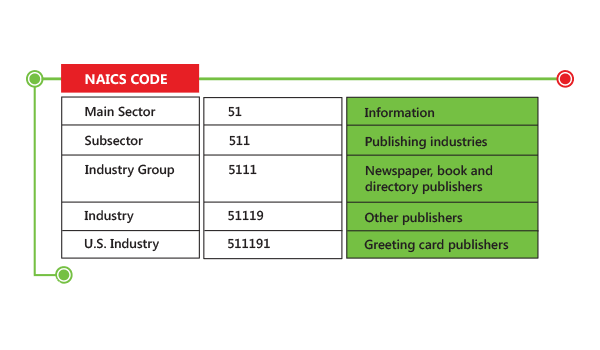 The third digit in a NAICS code is the subsector, the fourth digit is the industry group level, the fifth digit is the international industry level, and the sixth digit is reserved for U.S. designation. SIC stands for the Standard Industrial Classification (SIC) system. NAICS replaced SIC codes for the most part in 1997, due to additional technology-based classification needs as market trends shifted and the Internet grew, but many companies find SIC codes more than meet their needs. The first two digits of a SIC code identify the major industry group, such as Manufacturing or Transportation. The third digit identifies the industry group, such as Electronic Components under the Electronics category. Finally, the fourth digit identifies the industry. And if an industry cannot be located, the number “9” is used in the third or fourth digit position to show NEC or Not Elsewhere Classified industries.